Lay some honey garlic on me! I just can’t keep my hands off this Honey Garlic sauce. 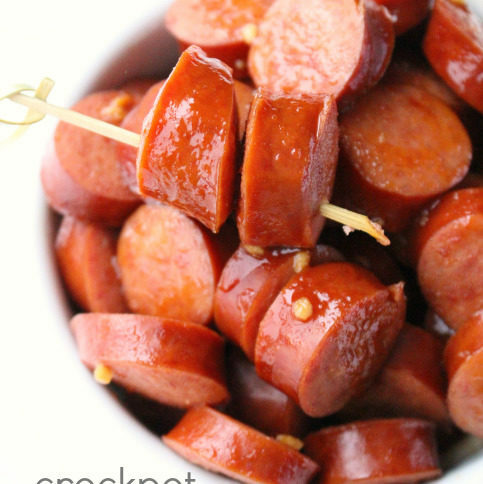 First I tried it with meatballs, and everyone loved it so much, I just had to try it again with cocktail weenies. 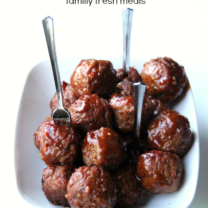 Then that went over so well that I figured, why not keep the honey garlic ball rolling?! 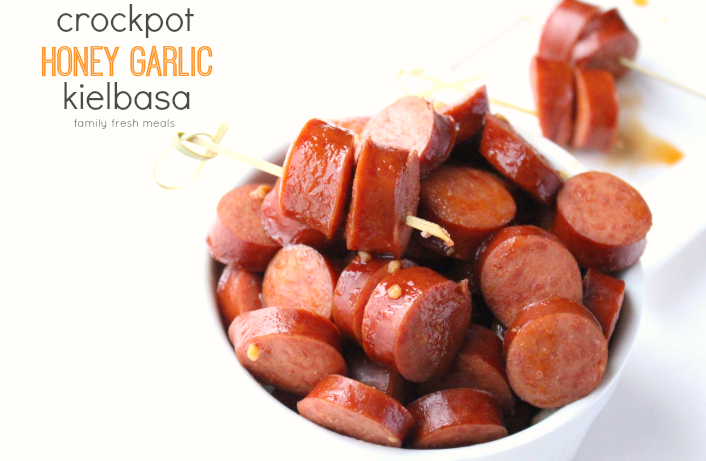 So here’s the latest twist: Honey Garlic Crockpot Polish Sausage. Same easy method as the first two: just mix up your sauce, pour it over sliced Polish sausage, and let the crockpot do the rest. And just like the others, this can be a delicious appetizer, or you can serve it up over rice or noodles for a main course. Plus, this time around, I’ve even managed to come up with a vegetarian-friendly version to keep all the herbivores (like my husband) happy. 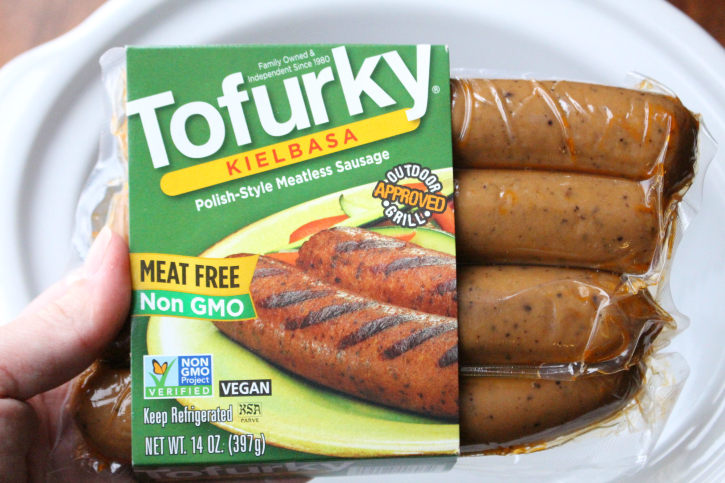 Just sub in these Tofurky meatless sausages for the regular ones. Okay, I’ll admit they don’t taste exactly the same as a real Polish sausage, but they’re definitely not lacking in flavor. And once they’re loaded up with honey garlic goodness, you’ll hardly even notice the difference. 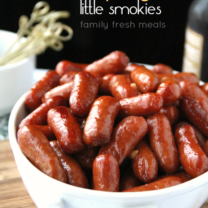 2 (14oz) packages of Polish Sausage, precooked and cut into bite-sized pieces. 1. In a medium bowl, mix together brown sugar, honey, ketchup, soy sauce and garlic. 2. 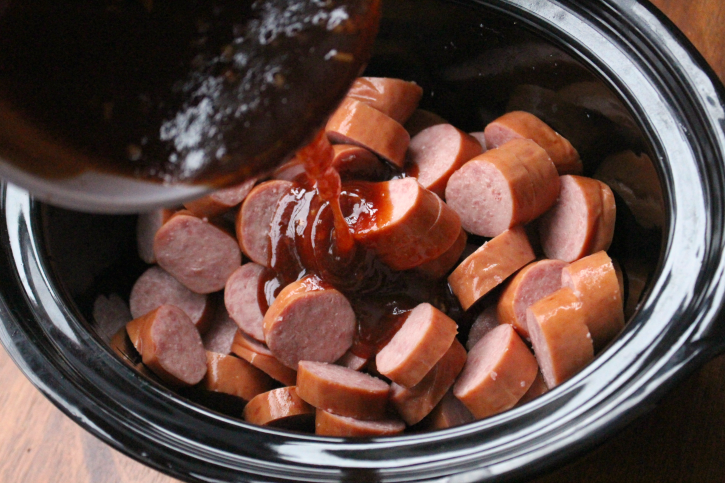 Place sausage into a 3-4 quart crockpot and pour sauce over sausage. Stir to coat evenly. Cook on LOW for 4 hours, stirring occasionally. 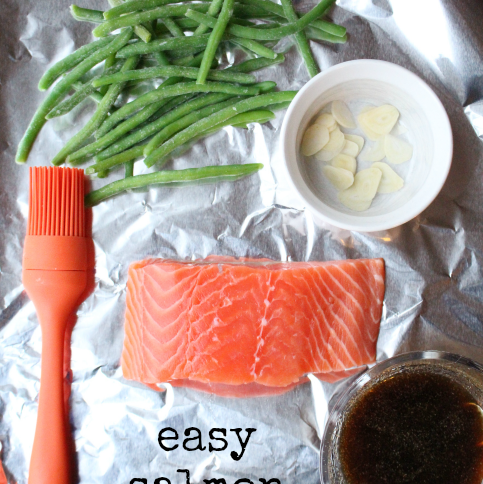 Here's an easy appetizer for you to try! 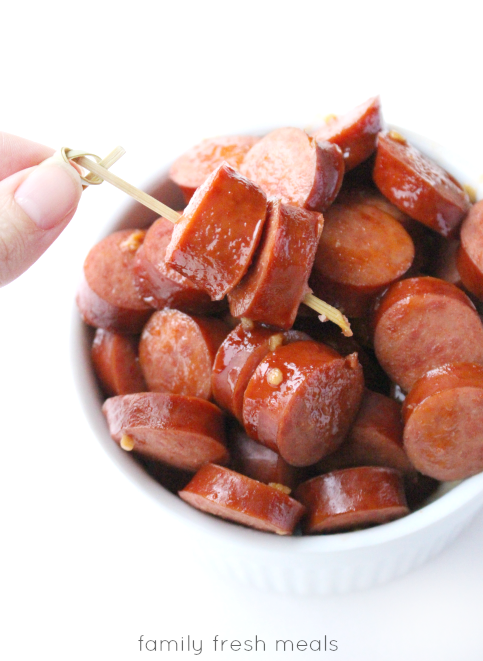 Crockpot Honey Garlic Polish Sausage might just be the perfect game day grub to serve your football fans! 2 14oz packages of Polish Sausage, precooked and cut into bite-sized pieces. 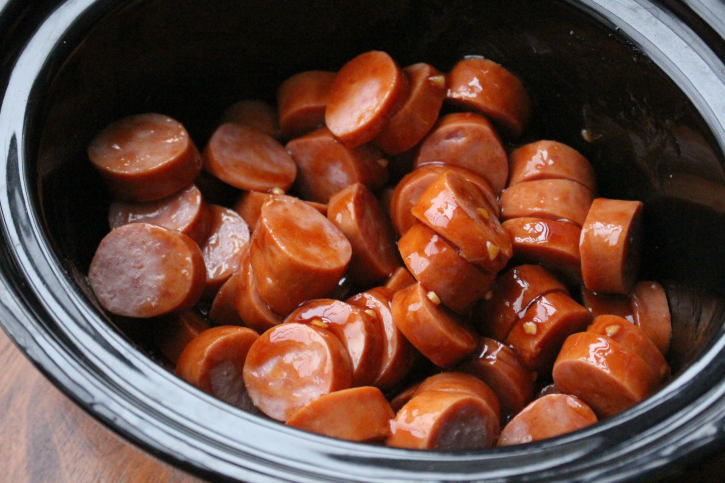 Place sausage into a 3-4 quart crockpot and pour sauce over sausage. Stir to coat evenly. Cook on LOW for 4 hours, stirring occasionally. 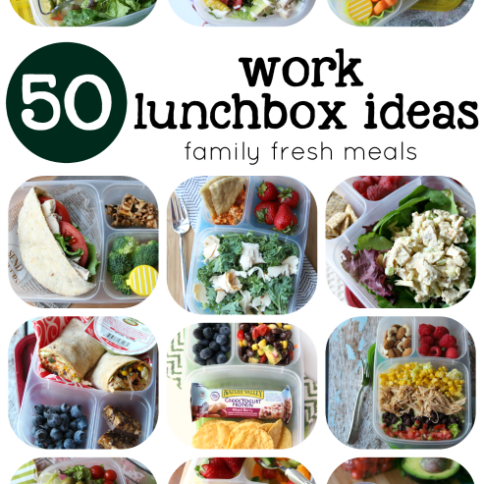 I’m trying this recipe out today! I’ll let you know how it turns out. I’m using a 6 quart crockpot though. I hope it’s still ok! Welp, the garlic burned at the two hour mark in the 6 quart on low I tried switching just to low and stirring every 20 minutes but the sauce was still bubbling. 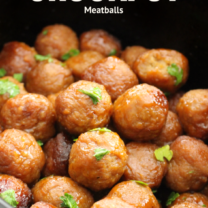 Tried this out for Superbowl – It was perfect! Everyone loved it, thank you! Thank you Corey for the nice and easy recipe. Not fond of using honey in recipes, can something else be used rather than the honey? Please advise. Thanks! Your dish is sooo tasty! 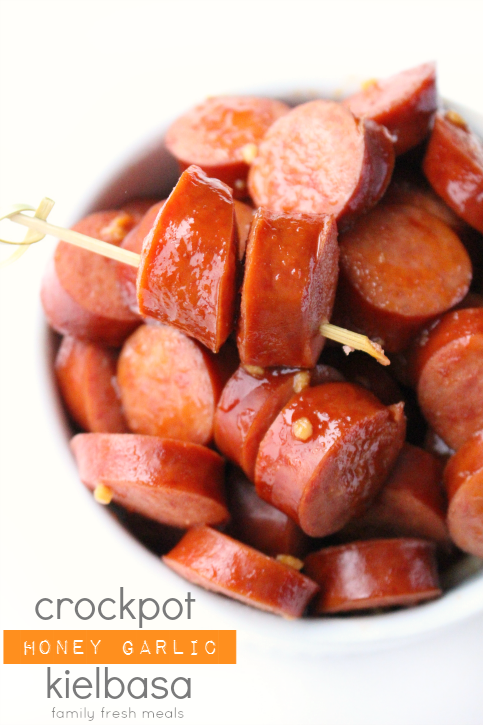 Can i cook that sausages in crockpot on high? I can serve the dish with some mayo, can’t i?